LBLUG - A LEGO User Group » April 23, 2016! 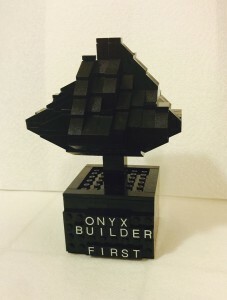 2nd Annual Onyx Brick Builder Contest at the Long Beach Public Library! There is a Free LEGO Competition at the Library this Saturday! 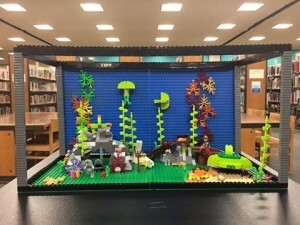 Build your aquatic creature with the mystery part! On Saturday, April 23rd, from 1-4 PM, the Onyx Brick Builder contest will be held in the Teen/Tween area of the Long Beach Main Library at 101 Pacific Ave, Long Beach. Check out the mystery part on the Long Beach LEGO(r) User Group website! Then, devise what your creature will be! (use our parts). Please do not bring your own LEGO bricks! On Saturday, show up and compete for prizes!